Joshua Heaney is an Atlanta-based saxophonist, performing solo, chamber, and new music. Joshua has appeared in performances throughout the United States and has presented at NASA and NAfME conferences. His playing has received accolades, described by renowned conductor Tim Reynish as, “…extremely sensitive dynamically, with a beautiful sound.” Joshua has excelled in competitions for solo and chamber playing, including the Susquehanna University and Thomas M. Brumby Concerto Competitions, MTNA Solo and Chamber Competitions, Great Composers Competition Series, and ENKOR. 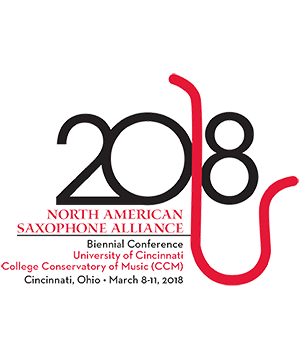 An advocate for new music, Joshua regularly comissions new works for the saxophone and was recently featured in SoundNOW, Atlanta's contemporary music festival. Joshua holds a BM from Susquehanna University and a MM from Georgia State University. He currently is pursing an artist's certificate from Georgia State University and serves as graduate assistant. Joshua Heaney is a Conn-Selmer artist-clinician and performs using Selmer Paris saxophones and mouthpieces.